Here at Smoke Rise we want to help young athletes develop basketball skills and good sportsmanship. Throughout the season, players will learn about boldness, self-control, and faith as it applies on and off the court. We are excited about the upcoming season and hope you consider joining in on the fun. Our leagues will continue to focus on providing a positive atmosphere where children and youth will learn about teamwork, respect for opponents, and develop a love for the game. 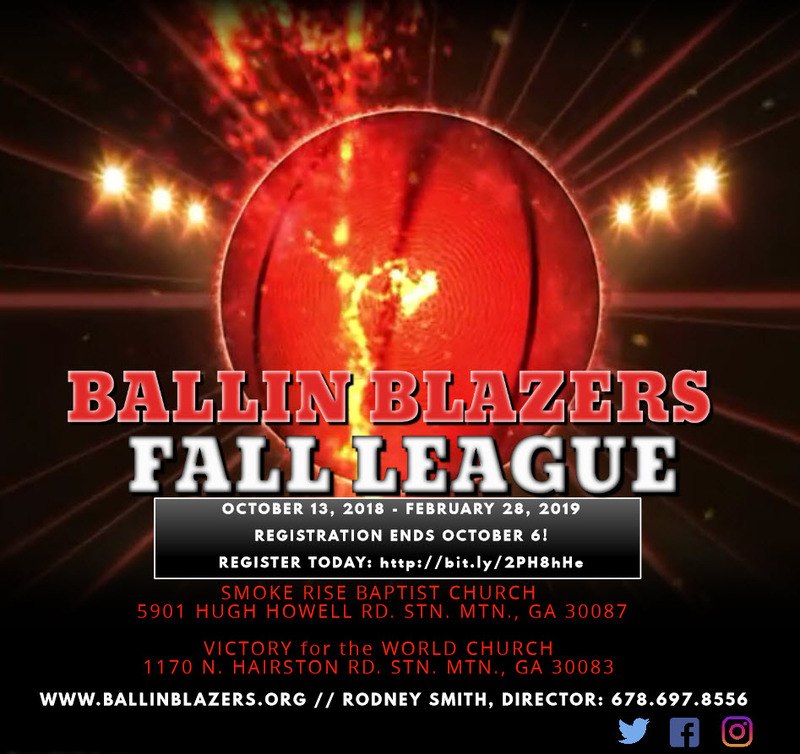 Check out this Basketball league 'Fall Basketball League 18-19' with Ballin Blazers!